The smoke has cleared, the dust has settled, and the students are now nicely nestled on waitlists or orientation schedules—but what can this year’s juniors learn from this year’s seniors about applying to college? This is about you. A few of the seniors in your school are just discovering this, as they try to figure out how to tell their parents they’d rather go to the local college no one’s heard of, instead of the famous college that admitted them that they really hate. You don’t want to be that student next year—so don’t apply to any college you’re sure you don’t want to attend. That means you drive the bus. The only way you get to stay in charge of things is for you to keep track of who’s doing what—and to make sure you end up doing most of it. 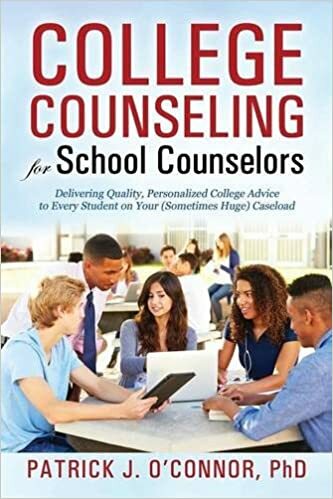 So, you write your essays, you submit the applications, you call the college with any questions you have, you ask the teachers for the letters of recommendation, you talk to your counselors. Colleges say they’re hearing more from parents than students, and that hurts your chances of getting in. Grab the keys, buckle up, and get busy. If you need help, say so. You don’t have to be a team captain or a born leader to get into college, but you’ll need to know how to ask your high school for your CEEB code, because you’ll need to ask your college for all kinds of things. And when you get the answer you need, remember that someone just made your life better. Say thank you. There’s more to college than classes. If you ask any adult about their college experience, they’ll talk about the friends they made, the trips they took, and the life lessons they learned. Classes are part of the college experience, but only a part. Visit the campus that could be your home to make sure it feels like home, both in and out of the classroom. College is expensive. Nearly everyone’s college plans depends on how much aid they’ll get to pay for it—but how much will you need, and how much might end up being loan? The time to start finding out is before you apply, not after. You’ve already had one awkward talk with your parents, about where babies come from. It’s time to make it two. Lots of people want to go to the same college. Not everyone will get in. That could be you. 95% of the students applying to Ivy League schools can do the work, and hundreds—that’s hundreds—of valedictorians—were denied admission to the Ivies this year. You may never need Plan B for college, but you’ll need to know how to make a Plan B once you’re in college. Now is the time to practice. Find two schools you’d love to attend where your chances of admission are greater than getting struck by lightning. They exist. A little planning is good. Many colleges with February deadlines are actually rolling admission schools, where it’s first come, first serve. Find out which of your colleges are rolling, and apply by mid-October. They are harder to get into in February. Much harder. A lot of planning is bad. There’s a lot to consider when applying to college, but two hours charting the probabilities of your admission under different early action plans are really two hours that are wasted. Watch this Or this. The first year of college isn’t Grade 13. College classes meet on a different schedule, and cover material at a different pace, so your study skills will have to be flexible and your mind will have to stay sharp. Learning does that for you, so keep paying attention to high school until you’re finished with high school. You’re a senior. Act like it. Applying to college is a temporary, interesting hobby, not a lifestyle. Work on your college applications a couple of hours each weekend, and leave the rest of the week for studying, bonfires, dances, and French fries. Lots and lots of French fries.